This past December and January, the php|architect crew took to the air for our annual traveling roadshow called CodeWorks. This year, for the third year in a row, we hit the road and made stops all over the country – but mainly on the coasts – presenting things we’ve learned over the past year.Each stop introduced us to new friends and at each stop we learned from a local developer sharing what they knew. 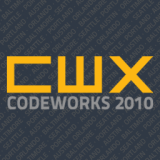 If you’ve been following along the last couple months, you know that a number of us were recently on the CodeWorks 2010 tour. In ten days we hit five cities and met user groups all over the place. All in all, it was a blast – we all have writeups coming – but you’re not here for our analysis.. you’re hear for our slides. 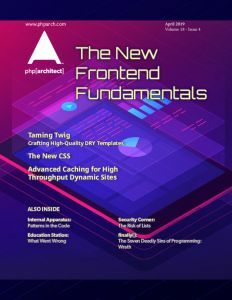 php|architect podcast Episode 2010-001. Sit with us as we look back at 2009 and what it meant to PHP. Join Marco, Liz Naramore, Cal Evans and Josh Holes as they give you a taste of what it would sound like if all podcasts were recorded inside an airport. Sean Coates is Coming to CodeWorks! Sean Coates will be joining our CodeWorks Tour, and we are thrilled to have him on board! He will be sharing his expertise with our attendees in Atlanta, Miami, Washington, and New York. Glad to have you with us, Sean! Welcome to Codeworks, Matthew Weier O'Phinney! Your chance of taking part in the fall’s best conference series for as little as $99 ends tonight! We know there are many people out there doing amazing things with PHP, and we want to hear from you! If you live in the local area in and around one of our seven cities (San Francisco, Los Angeles, Dallas, Atlanta, Miami, Washington DC, or New York City) here’s your chance to show your stuff.